We're all about “Celebrating Great British produce with a Great British lifestyle.” We stock a variety of speciality food items such as cheese, charcuterie, pickles, jams, chutneys and honey and much more all sourced from across the UK. We also offer a wide range of small batch gins, spirits, and beers along side some amazing English wines. 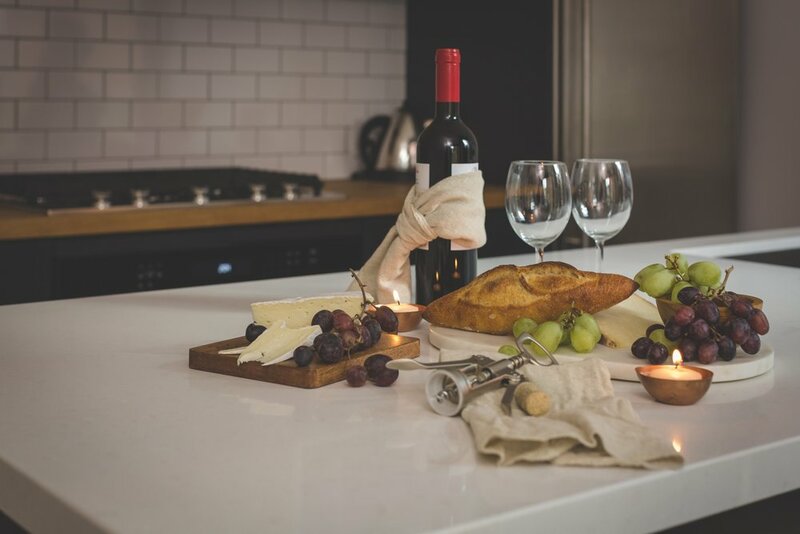 We have a selection of gift items as well as soft home furnishings and Welsh slate cheeseboards, beautiful wooden boards, Dartington handmade British crystal and pottery from around the UK. We also offer Wedding cheese cakes - please do contact us for more information or come in store. 01844 214229 or email us hello@thedeliatno5.co.uk. We'll keep you up to date with news, special offers and more. The Deli at No. 5® is a UK trademark and the trading name for Bastin Jones Limited. 5a Buttermarket, Thame, Oxfordshire, OX9 3EW. All content of this website is owned by The Deli at No.5® and cannot be used without permission.